Specialising in semi-permanent eyelash extensions, we offer different types of eyelash extensions in our Bracknell clinic which are designed by our practitioners to suit the eye shape and face of the individual client. Lash extensions come in many styles ranging from the super dramatic Mega lashes, Russian 3D volume to the softer natural Mink Individual Classic look. So no matter which look you prefer, our practitioners will supply you with a beautiful new set of lashes that will delight you. Our eyelash extensions specialist, Alice Hau graduated from the prestigious University of Art London in 2002. She has been working in beauty ever since. She loves the delighted looks on client’s faces when they’ve had eyelash extensions. It never ceases to please her. 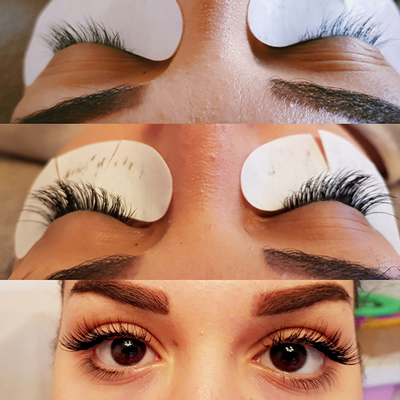 Alice can recommend exactly what she thinks would look best on you so come in for a consultation and you’ll leave with the eyelashes of your dreams! Eyelash extensions are synthetic lashes applied directly to your natural eyelash using an adhesive. These aren't the same as synthetic eyelash strips sold at mass retailers. Extensions come in as an individual lash, or a bundle of 2D to 6D volume lashes, and each bundle is glued directly onto your natural lash. The application procedure takes at least 60 to 90 minutes when done by a professional at our Bracknell clinic in Berkshire. The extensions should last around anywhere from two to eight weeks and will fall out as your natural lashes fall out. 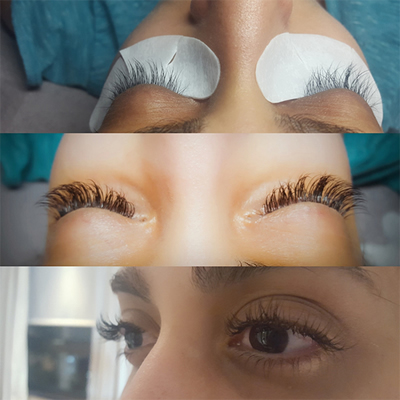 To see our full range of eyelash extensions and prices in Bracknell, Berkshire, please see our fees page Eyelash Extensions costs. 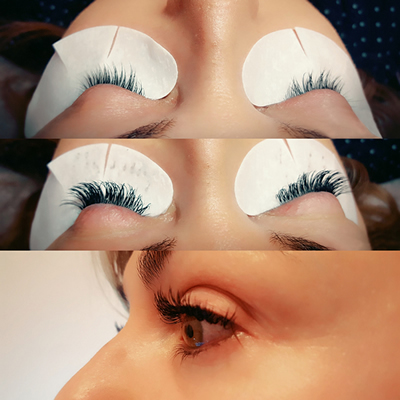 Lash extensions last through a full growth cycle of natural eyelashes, typically six to eight weeks. That said, because each person's lash growth is somewhat variable (just hair growth), suggest lashes top up maintenance every three to four weeks to maintain a full look. How long do you have to wait to shower after eyelash extensions? Mostly people can carry out their daily routines immediately after you’ve had eyelash extensions. The adhesive is usually dried completely within few minutes after the extensions were applied. The special eyelash glue is made so that you can comb your extensions after you shower. How to Make your lash extensions last longer? How long do Russian lash extensions last? A fuller, more dramatic individual lash extension look is commonly known as Russian Volume as the style hails from Russia, and we will simply call this 'Volume'. 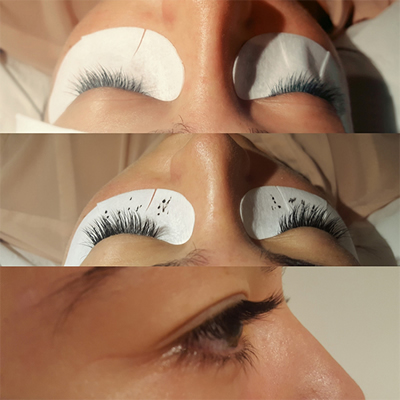 Russian 3D lashes will last 4 to 6 weeks, though they will usually require infills and maintenance every 2 to 3 weeks. If applied correctly and properly, they are safe and do not ruin the health of your natural lashes. Be sure not to rub your eyes or tug or pull on the extensions because this can cause lash loss and even damage to your natural lashes. If lashes are applied properly and to each individual lash, they won't fall out. Do your eyelashes grow back after extensions? Your eyelashes do not know that extensions are being applied to them, and they continue to shed off like normal, and a new natural lash will grow back. However it is completely up to the client whether or not they wish to take a break. DO NOT USE MASCARA. Waterproof mascara or any type of oil based mascara can dissolve the bonding agent and shorten the life of your eyelash extensions causing them to fall sooner. Care also needs to be taken in washing off the mascara. Classic lashes - A method where 1 lash extension is glued to 1 natural lash. This method is also known as 1 to 1 or 1:1. ... Volume (3D) lashes - When multiple lashes are applied to one single natural eyelash individually isolating one natural eyelash at a time.